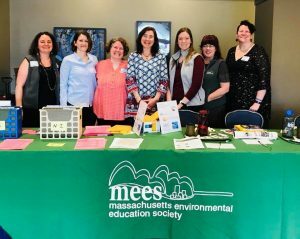 MEES is looking for highly motivated members of the Environmental Education community to grow our Board. We hope you’ll consider adding your talents! Spending time with a great group of EE professionals every month! Generally, the board meets on the second Tuesday of each month. Meetings are rescheduled from time to time to coordinate better with Board Member schedules. The Board has also started to incorporate conference calls and a new meeting location on the South Coast to reduce the driving time for Board Members. October 19, 2018 – 6:00 p.m. – 9:00 p.m. – EE’s Big Night Out! Interested in applying? Send your resume and a letter of interest to: info@massmees.org.